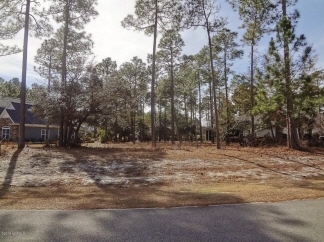 Large Lot In Sea Trail Plantation! Description: Bedrooms: Large lot in a very quiet section of Sea Trail Plantation. If you have a home design ready, this lot is wide and deep enough to accommodate most styles of homes. Select your builder and plan to build your dream home in this golf community located minutes from beautiful Sunset Beach. Sea Trail Resort is a premiere North Carolina destination, located on 2,000 lush coastal acres, minutes from the quiet sands of Sunset Beach, NC. The community offers residents and visitors a myriad of resort-like amenities, appealing to a wide range of lifestyle options. The Sea Trail Plantation amenities include 3 championship golf courses, lighted driving range, two putting greens, private parking area on Sunset Beach, 2 clubhouses, restaurant, 2 pools, fitness center, library, chapel.